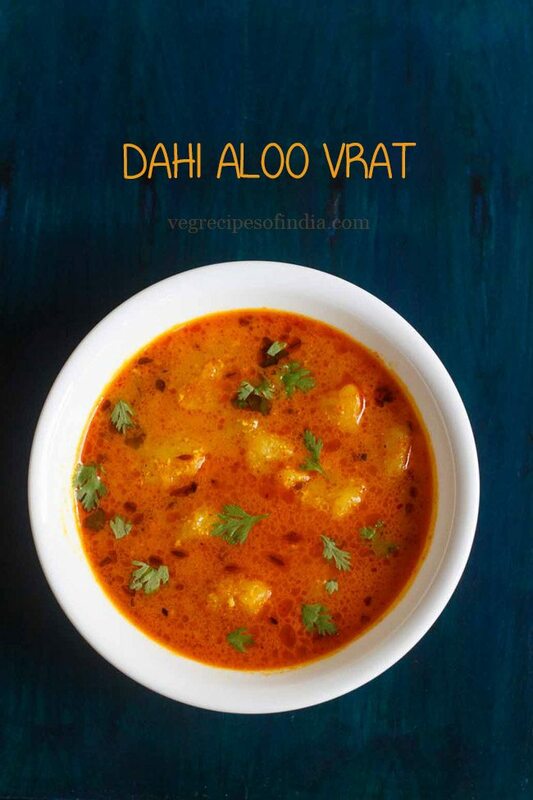 vrat ke dahi aloo recipe with step by step photos. 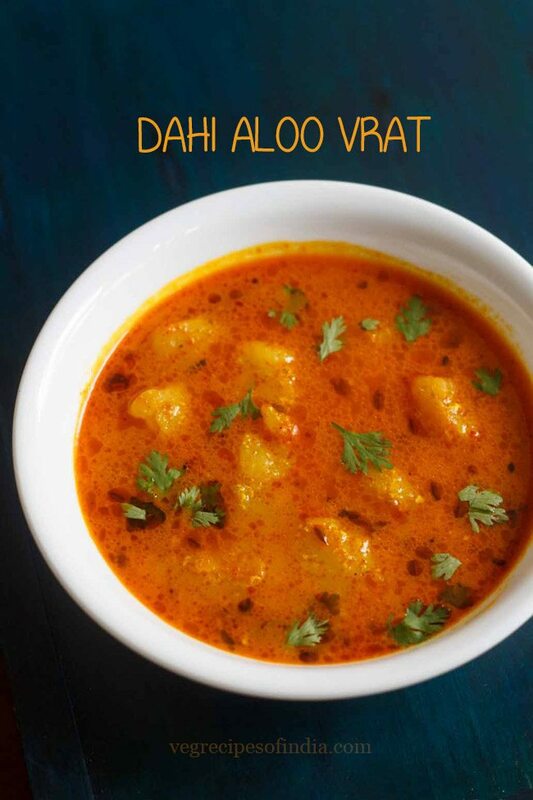 dahi aloo is yet another light curry which you can make for vrat or religious fasting. 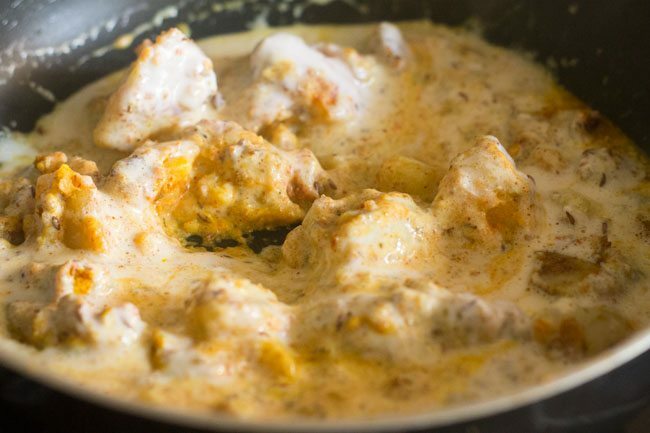 dahi aloo is easy to make and a quick dish. 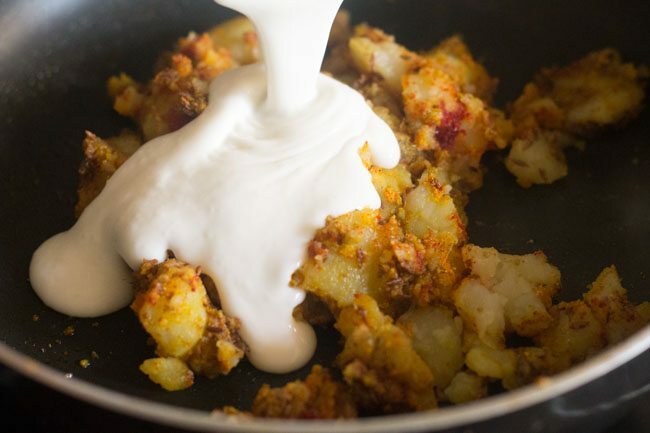 all you need are some potatoes and yogurt along with the regular indian spices. 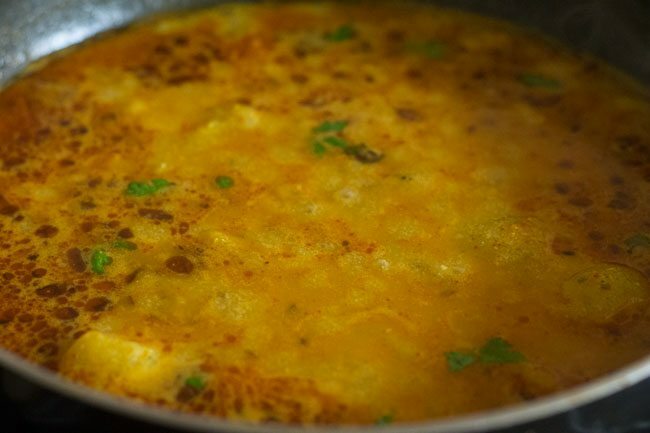 on normal days i make this version of dahi aloo recipe in which onions and garlic are added. 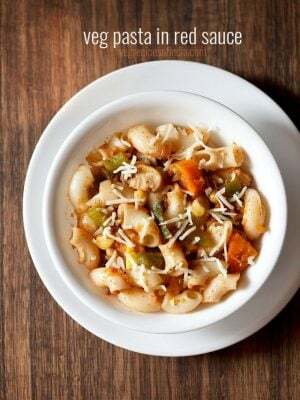 the dish has very simple taste and flavors. the kind of food which we have during fasts. 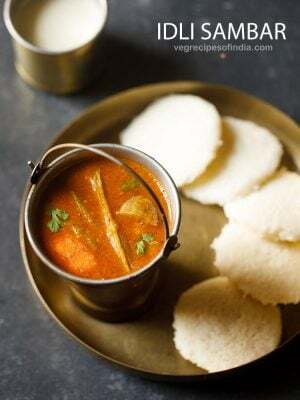 you can serve dahi aloo with singhare ki poori, kuttu ki rotis, sabudana thalipeeth, rajgira ki pooris, kuttu ki poori or samvat ke chawal ka pulao. 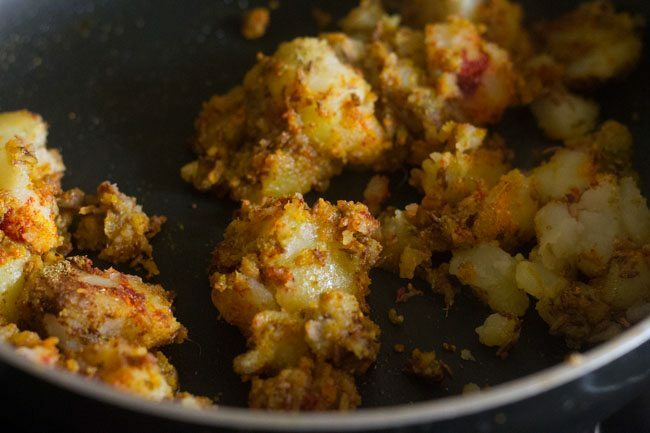 if not making for fast, then you can spice it up more and serve with jeera rice or plain steamed basmati rice. also good with phulkas. this recipe has been made in cashew yogurt. if using milk yogurt, then use fresh yogurt and whisk it till smooth. 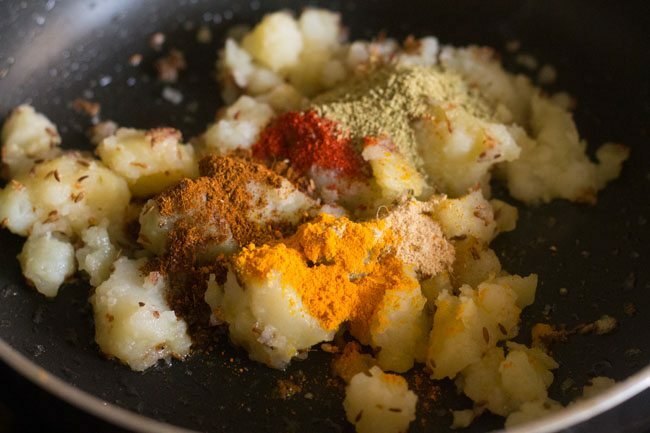 note – if making this recipe for fasting then don’t add turmeric. first boil the potato. 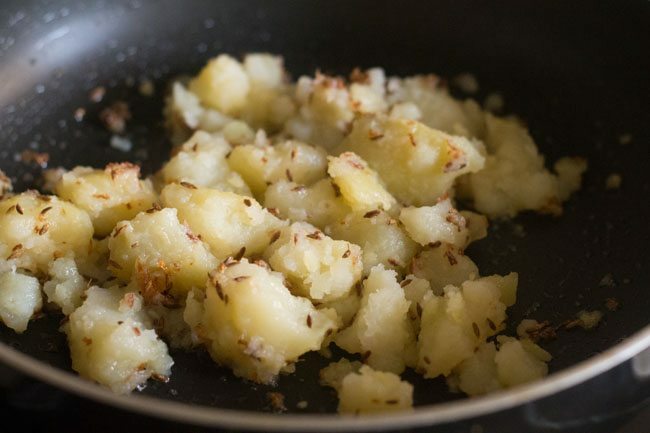 peel and just crumble the potato with your hands. you can also chop if you want. 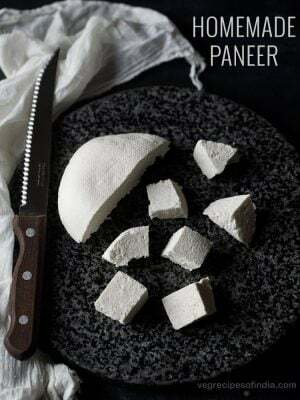 beat dahi (curd or yogurt) till smooth. heat ghee or oil. 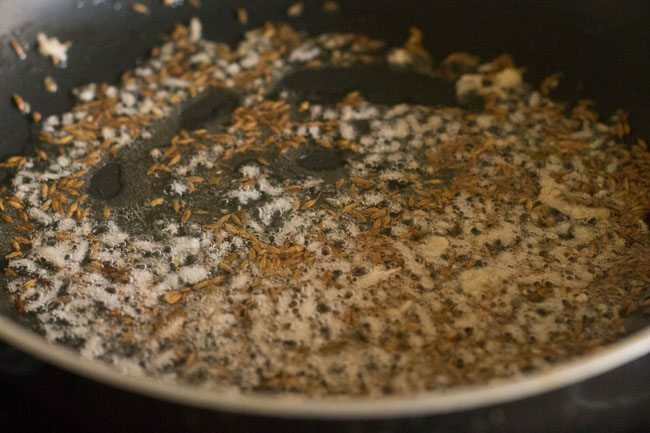 fry the cumin first. then add the ginger and fry for some seconds. then add all the dry spice powders. stir well and saute for a minute. 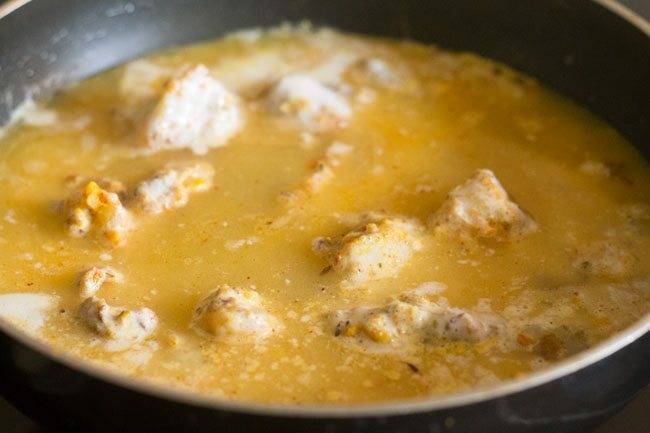 add the beaten dahi (curd or yogurt) and stir. add water and stir again. season with salt. 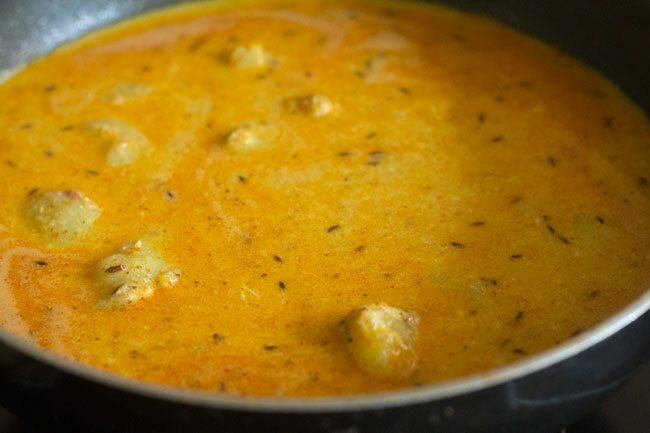 simmer for some minutes till the dahi aloo gravy thickens. 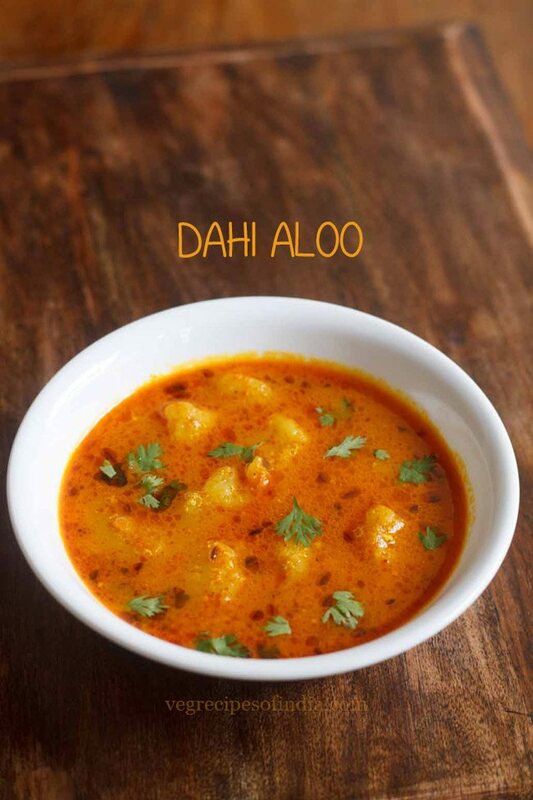 once done then garnish dahi aloo gravy with coriander leaves and serve dahi aloo hot. 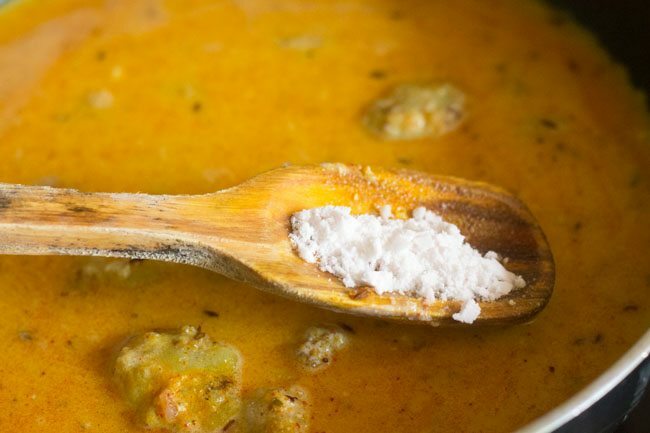 if you are not making dahi aloo for navratri fasting or any other fast then you can also add a pinch of asafoetida/hing. you can also use cashew yogurt instead of milk yogurt. 1. first boil 1 large potato (or 2 medium sized potatoes). 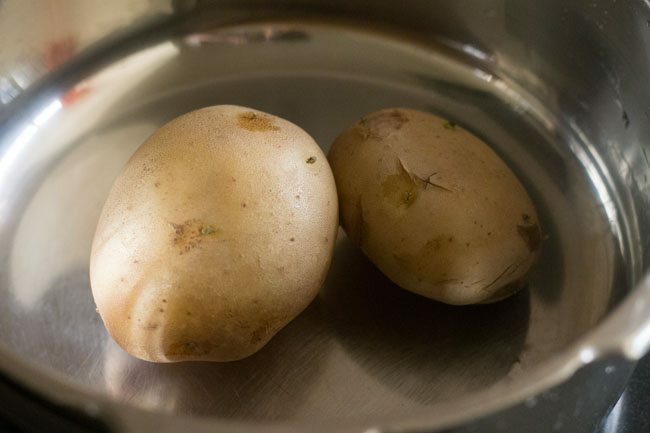 i have boiled the potatoes in pressure cooker. 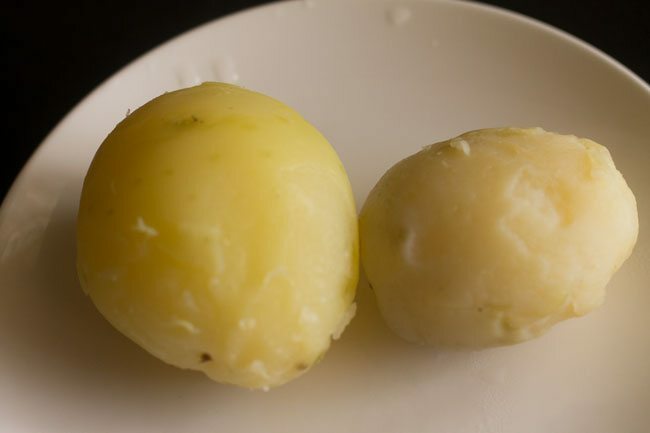 2. once potatoes become warm, then peel them. 3. just crumble the potato with your hands. you can also chop if you want. 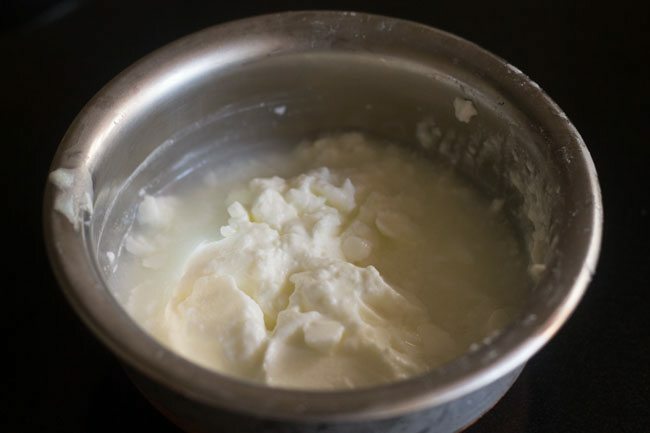 4. in a bowl, take 1 cup dahi (curd or yogurt). 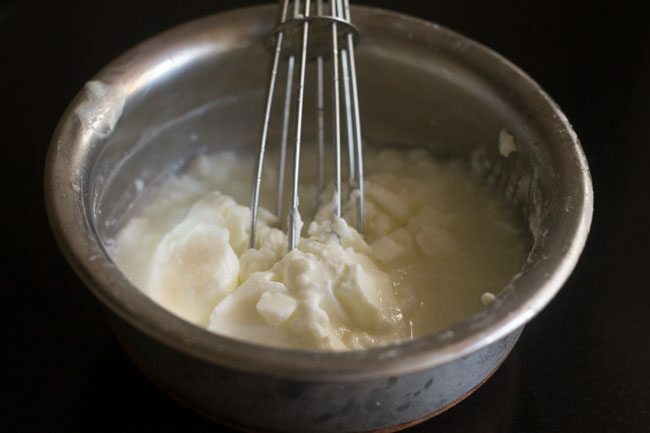 5. whisk the yogurt with a wired whisk. 6. whisk till smooth. keep the whisked yogurt aside. 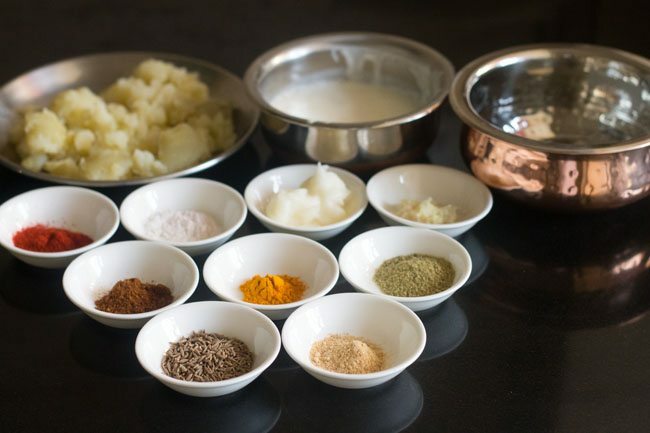 7. measure and keep all the ingredients ready for making dahi aloo recipe. 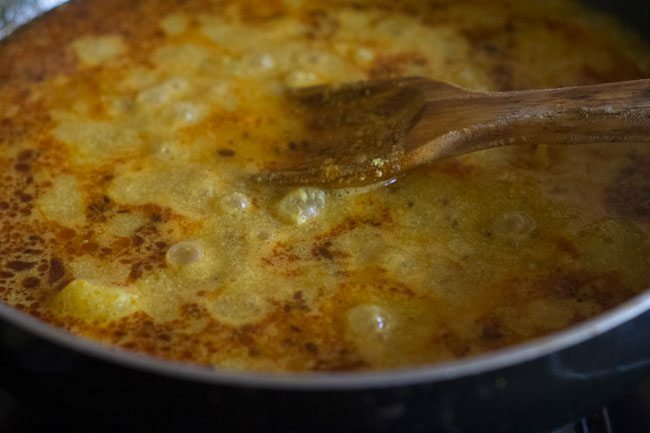 8. in a kadai or pan, heat 1 tablespoon ghee or oil. 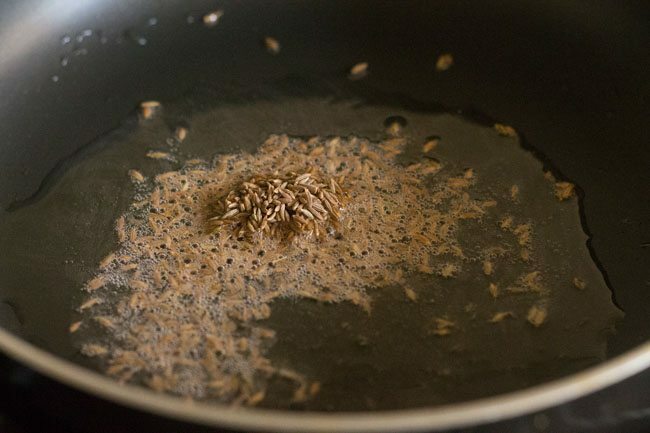 9. add 1 teaspoon cumin seeds. 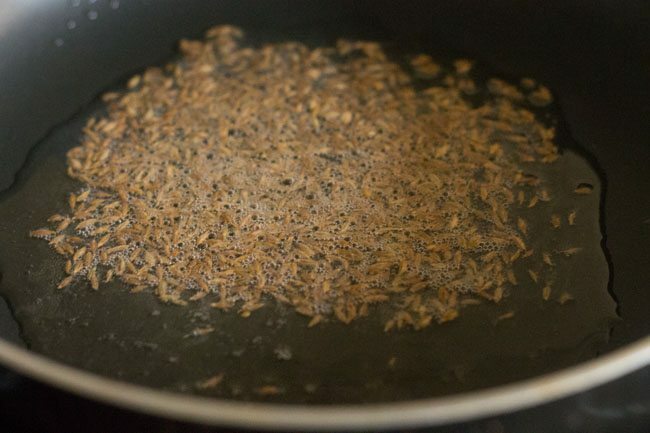 10. fry till cumin is browned. 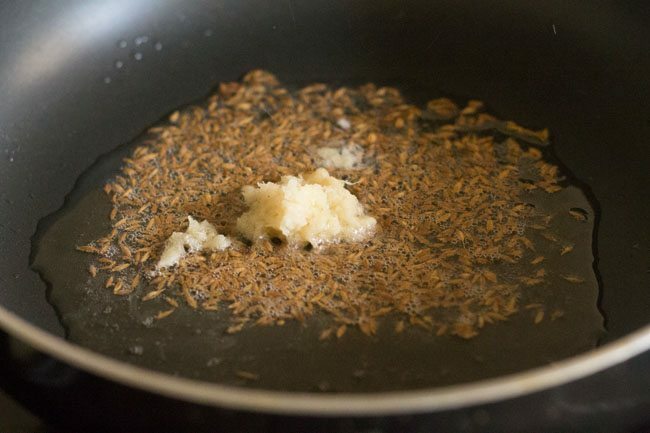 11. then add ½ inch grated or finely chopped ginger (adrak). 12. fry for some seconds. 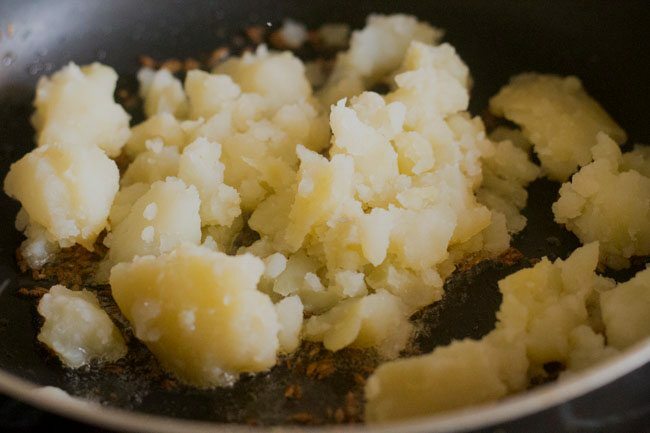 13. then add the crumbled potatoes. 14. saute for 2 to 3 minutes. 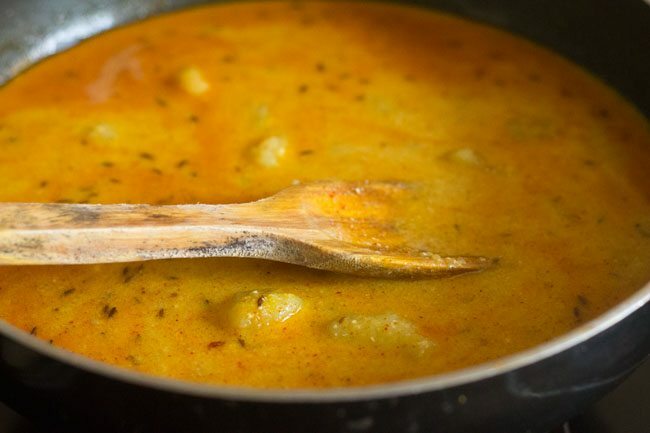 15. then add ¼ teaspoon turmeric powder (haldi), ½ teaspoon red chili powder (lal mirch powder), 1 teaspoon fennel powder (saunf powder), ½ teaspoon garam masala powder and ¼ teaspoon dry ginger powder (saunth). if making for vrat then don’t add turmeric powder. 16. stir well and saute for a minute. 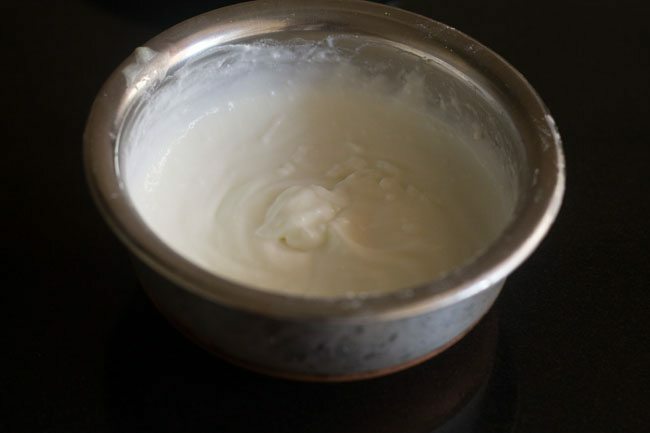 17. add the beaten dahi (curd or yogurt). 19. add 1 cup water or as required. 21. season with salt as required. use rock salt (sendha namak) if making for vrat (fasting). 23. simmer for 3 to 4 minutes on low flame. stir in between. 24. simmer till the dahi aloo gravy thickens. 25. keep on stirring in between. 26. once done then garnish dahi aloo gravy with coriander leaves. 27. serve vrat ke dahi aloo hot. 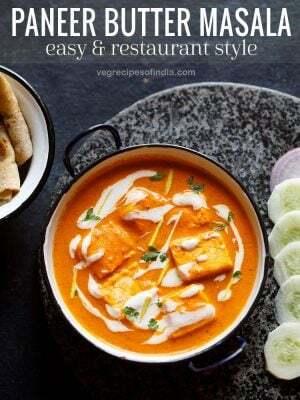 you can serve dahi aloo with singhare ki poori, kuttu ki rotis, sabudana thalipeeth, rajgira ki pooris, rajgira paratha or samvat ke chawal ka pulao. I am a bachelor and I love your recipes. But I had trouble making this one. Even though I took the pan off the heat to add the gravy, yogurt curdled and the gravy was too watery at the end. Do you have any tips to avoid? Perhaps my yogurt was poor quality. firstly the curd must be made with whole milk. if toned or skimmed milk curd is used, it will split. 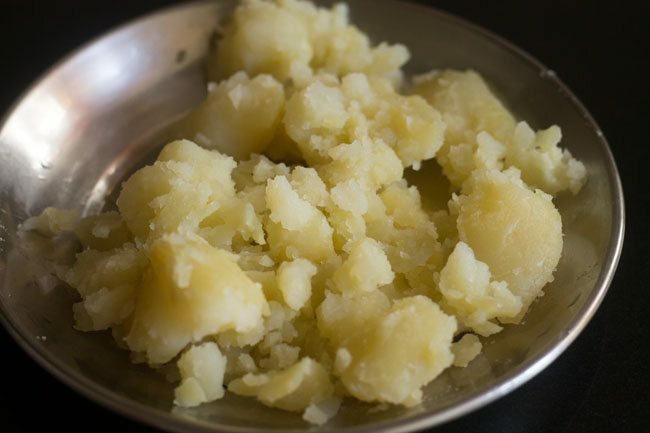 secondly in the future, you can add some besan ( 2 to 3 tablespoons) after sautéing potatoes. usually besan need not be added as the starch from the potatoes helps in the curd not getting split. but as a precaution some besan can be added. after adding besan, saute it for 1 to 2 minutes. then add spice powders and later curd. 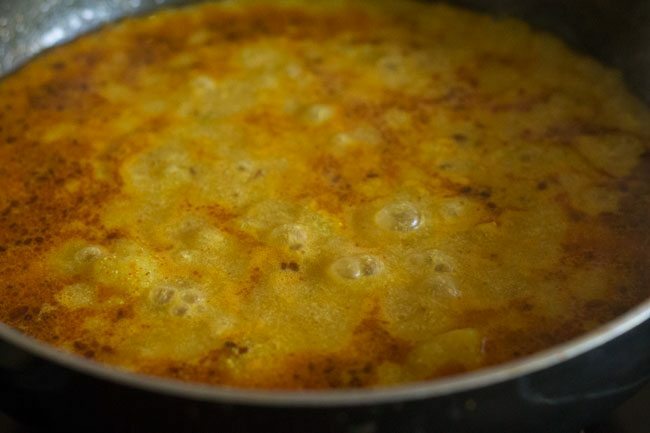 you can even use corn flour instead of besan. i am so pleased to know this niharika 🙂 and glad to know your folks appreciate your food and our food blog could help you in cooking. god bless you too and thankyou for your kind words and you are welcome. 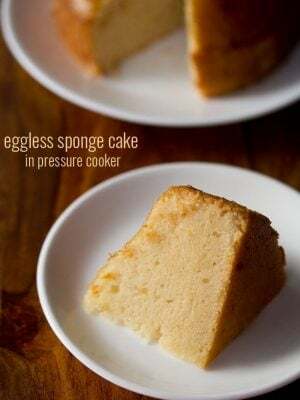 I tried out this recipe and it turned out as expected – simply fantastic! My husband who usually doesnt like anything with the name ‘potato’, appreciated this preparation a lot! Spices – their permutation and combination – results in what a variety, distinct, amazing, taste, flavour – aroma! Thank you so much. Keep up the great work. welcome chetana. i am fine and hope the same for you. thanks for sharing positive feedback. 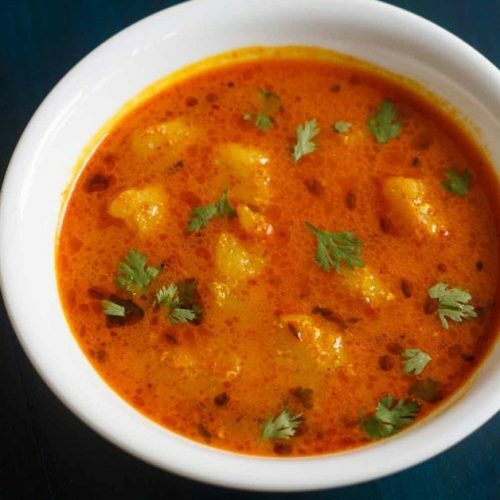 Hi…loved your recipes and I am going to make them this navratri . Just one thing.. HIng/asafoedita should not be used during vrat as it contains some elements of rice which is a cereal. Thanks once again for recipes. thanks toshi. i know about it. the one i used in the recipe was the pure one without any rice or wheat in it. i will update the post. welcome vikrant. thanks for your positive review. Dis is an awesomely delicious yet simple to prepare dish. 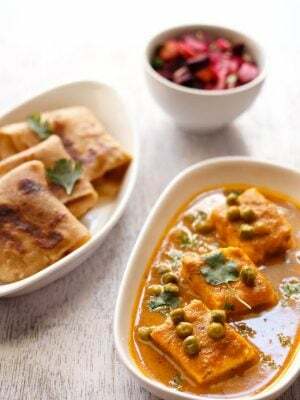 The problem is whenever I have prepared it, as soon as i add curd, it splits and forms small granules which gives the dish a very unpleasant look and texture. I always beat the curd properly before adding and switch off the flame while adding curd. Please suggest why this happens. I never get a smooth yogurt gravy..
the curd has to be at room temperature and should be fresh. 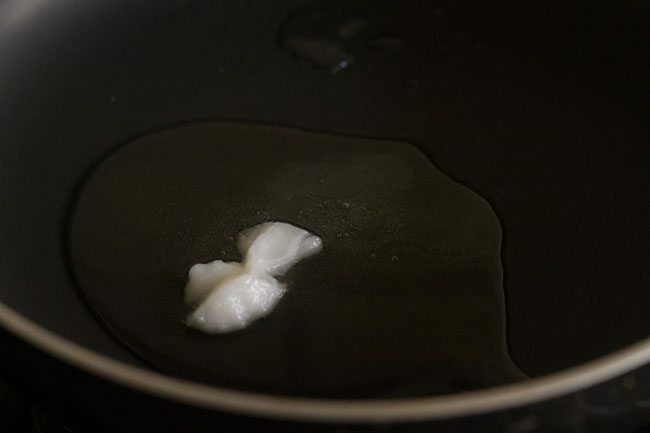 one technique is to add the curd and stir is briskly while the flame is on. this avoids the curdling. another is to keep the pan down and then add curd. stir and keep the pan on the flame. also use full fat curd. 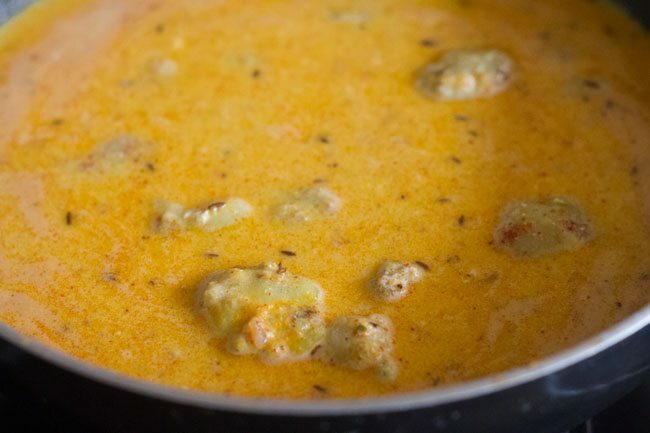 if you use low fat or skimmed milk curd, then curdling will happen. plz dun stop ur blog ever..i will try more recipe of urs…u r god blessed..
welcome sima. if i get to read such encouraging comments like yours then why will i stop blogging. thanks for this sweet comment. it matters a lot. I love Indian food. I never thought of eating it during or between fasts because a lot of the food is spicy to me. Any excuse to eat it will do. Thanks for the recipes.